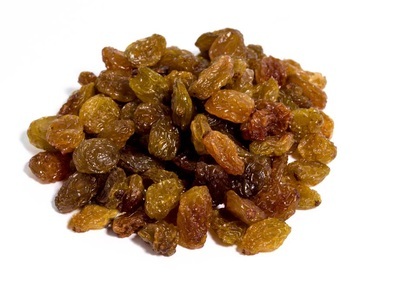 Iranian Sultana raisin have a delicate and unique flavor and they differ from raisins with their lighter color and sweeter taste. Sultanas raisins obtained from white, seedless grape and often called as only “sultana”. Sultana raisin have a color scale ranging from light to dark as well as various size options. The most commonly cultivated grape that produces most of the world’s Sultanas is the Thompson Seedless White Grape. The fruit is cut from the vine and dipped in a solution of Potash and Oil. This solution accelerates the drying process resulting in a relatively light colored Sultana. It’s the same grape that produces Raisin. Our Sultanas Raisins are Double laser sorted, X-ray sorted and handpicked under BRC quality system. Sultana raisins are available in two quality classes: Grade AA or Grade AAA - RTU* Grade.